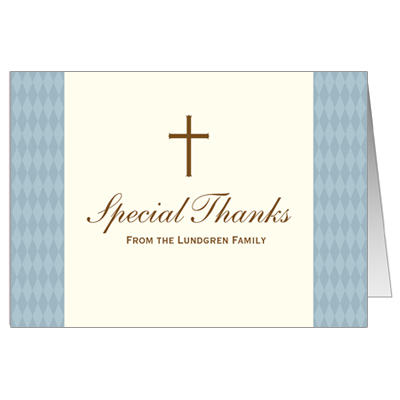 Say Thank You in a very special way with this elegant card. Printed on ecru stock, a classic cross is featured in brown at the top, bordered by a blue diamond pattern on either side. Your personalized text is printed in brown for the perfect finishing touch. Comes with matching ecru envelopes.